Last week Clearspring Technologies [disclosure: I used to work there] publicly announced its new direction as an audience buying platform, leveraging the widespread distribution of its AddThis social sharing tool (which I include at the end of each of my blog posts) to aggregate intent-oriented data from keyword searches performed by web users (AddThis accomplishes this by capturing search query information contained in the referring URL string when a visitor lands on a web page where the tool is embedded). Search re-targeting has become a big driver in the growth of data-augmented display ad campaigns this year as advertisers look to find consumers that exhibit particular characteristics across the web versus targeting visitors to a particular website based on traditional geographic and demographic parameters. The incorporation of data into online advertising has been greatly aided by the creation of self-service platforms that allow advertisers and their agencies to define their audiences and buy access to these users, as well as the accompanying ad inventory, in the process. These platforms are able to bring efficiencies to the demand side of the of the equation by automating components of the online display advertising ecosystem, something that wouldn’t have been possible without the standardization of display advertising units (which the IAB has achieved by defining such things as ad unit pixel dimensions, file weight and animation length). Without this type of inventory standardization neither the evolution of ad networks, ad exchanges and now demand side platforms (DSPs) would have never occurred, nor the ability to leverage data sources like Clearspring when buying online ad impressions. This type of evolution hasn’t only been limited to the online display market though. The IAB began the process of standardizing video advertising in online video players two years ago, creating guidelines that enabled online video ad networks to emerge. These specifications have matured enough to enable the likes of Adap.tv and BrightRoll, who coincidentally enough is a major video ad network itself, to launch video ad exchanges in an effort to bring efficiencies to the scale already available through these video ad networks. On the heels of launching BrightRoll Exchange (BRX) last week, BrightRoll announced this week that it will be leveraging search data from Magnetic to allow video advertisers to re-target audiences across the BrightRoll Video Network as well as BRX in the same manner they do with display advertising today. As you can see the online video advertising market is following a very similar path as online display advertising has in its maturation- leveraging ad unit standardization to bring scale to the industry, which in turn has led to platforms being launched in order to bring efficiencies into the marketplace and incorporate data to enable audience targeting at scale- albeit in a much more condensed time line. Where online video advertising trails display advertising in delivery effectiveness is in the nascent state of its exchange marketplaces and integrations with DSPs and data sources, which should both evolve rapidly over the course of the next 12 months. Based on this pattern, mobile applications should be the next advertising segment to follow this evolution as mobile ad networks focusing on the Android and iPhone platforms have proliferated. The biggest thing holding back the mobile application advertising industry from further efficiencies is ad unit standardization as the IAB is not yet willing to go down that path, only providing best practices as of yet. This automation and scale being brought into buying online advertising inventory has started coming at the expense of ad sales people. Case in point, in June the Fox Audience Network disclosed that it would be laying off 5% of its staff, all from direct online ad sales, as a result of the success the company was seeing from the self-service display advertising part of its ad network business. So is there a future for ad sales people in online advertising or will they be a casualty of efficiency like blue-collar line workers of the industrial age? To survive and thrive, ad sales people need to re-orient their thinking from selling impressions to creating experiences for brands and advertisers that focus on two core concepts: integration and social. Integrated campaigns enable advertisers to achieve higher engagement and mind share than through individual ad placements. In traditional display advertising this can be accomplished by implementing branded skins into websites or sponsoring sections of content. In video this might mean product placement in episodes or storylines and for mobile it might involve sponsoring the give-away of previously paid apps or premium features. The key is subtly associating the advertiser with the site and content so as to create a positive connection versus an annoying one elicited by standard display and pre-roll video ads. In terms of social, I’ve previously written about the lack of innovation in online advertising since its advent 15 years ago and that the focus should be on creating socially-oriented ads (since social networking is what most web users are spending their time doing online these days). Developing ways for users to interact with and provide feedback on ads in real-time as well as leveraging a web property’s user base to collaborate in the creation of campaigns, which I’ve also written about, creates engagement because the users who participate have a vested interest in the outcome- just ask the Old Spice Guy. Regardless of finding the right experiences to drive success for advertisers, ad sales people need to evolve ahead of these online advertising ecosystems or they will end up like Willy Loman. Liked this post? Share it with your colleagues and friends below. It’s the End of Viral Sharing Tools for Widgets. And I Feel Fine. Last month Joe Marchese, President of SocialVibe, authored a guest article on MediaPost entitled The Widget is Dead. Then earlier this month Clearspring announced that it was deprecating Launchpad, its original widget sharing platform [disclosure: the company pays my bills], adding fuel to the question- have widgets become relics of the Web 2.0 era? The answer to that question is: not exactly. To completely answer this question it’s worth defining what widgets are and are not first. Widgets are typically described as portable chunks of code that can be installed and executed across third-party websites. The most well-known widget out there is YouTube’s video player that has enabled videos to be embedded and played across social networks, blogs and a multitude of other websites. Widgets are not applications, like those found on Facebook, as they do not leverage the native functionalities of social app platforms, such as a user’s social graph, which ties these application’s capabilities and usefulness to one particular website. Widgets do come in two distinct types based on their execution: content and utility widgets. Content widgets (flash games, video players, etc.) provide the same functionality and end-user value, regardless of where they are embedded. Utility widgets on the other hand, are configured to each user’s identity or website’s needs. Some examples of these include Facebook Badges, MyBlogLog and SocialVibe widgets. This difference in functionality between these widget types impacts their virality though not necessarily their adoption. Utility widgets are not viral by nature because each instance is unique, so there is little value for someone besides the owner to embed that specific version of the widget. These widgets gain adoption through a hub-and-spoke model where anyone who wants their own version must go to the widget providers’ website to create a new, tailored one to embed on a third-party page or site. Content widgets on the other hand are predisposed to be viral because they do not require any configuration. If someone finds a widget embedded on a site they can directly share that instance of the widget to the destination of their choice. Services like Clearspring’s Launchpad and Gigya’s Wildfire were created to enable this sharing process to be more automated for users across social media destinations such as blogs, social networks and start-pages in an effort to enhance their viral adoption. Since Newsweek declared 2007 The Year of the Widget a lot has changed in the social media landscape. MySpace, the most popular destination for widgets back then, has seen its user growth stall while Facebook and Twitter have experienced explosive growth around their platforms which have redefined content discovery and distribution. Widget sharing services have also been redefined in the process around the hub-and-spoke model, even for content widgets, as Facebook and Twitter have enabled virality to occur natively with their platforms with the introduction of activity streams. As actions are taken by a user, such as sharing a video into these platforms, their social graph is notified of the activity. 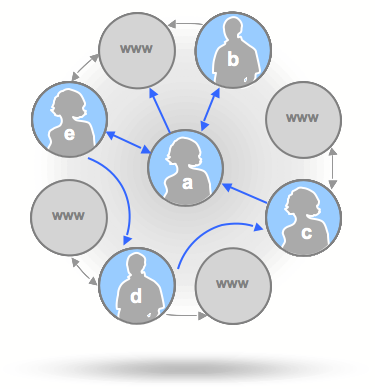 If any member of that user’s social graph plays (in the case of Facebook) or forwards (in Twitter’s use case) the video, this action is broadcast to that member’s own unique social graph which in turn enables the widget’s content to be perpetuated virally across other users’ social graphs based on their actions. If a widget becomes popular enough, the virality can reintroduce the widget several times into a person’s activity stream over a period of time. Even the notion of a widget is being redefined as advertisers and publishers do not necessarily have to create a new, standalone Flash asset to enable their content to be distributed. With the sharing of links becoming a standard activity within Facebook and Twitter the need for widgets has taken a back seat to links that drive users back to a web page that contains the appropriate content or provides the ability for users to pull pictures and videos directly into these platforms or associated applications. This evolution is actually good news for the widget ecosystem, especially content widgets, as costly projects that repackage content into widget form will give way to driving value for existing assets and web pages through link sharing. 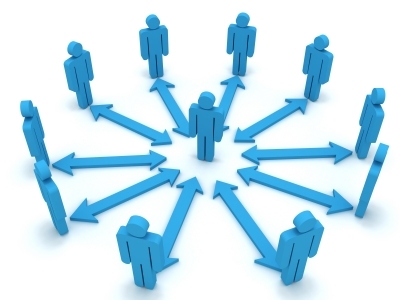 The sharing experience also becomes more standardized for users across different sharing services as the onus for generating virality shifts to the platforms themselves. As for utility widgets will be the least affected by these changes but will continue to be an important component of websites, blogs, start-page and even television experiences as these platforms try to extend their capabilities across the web. Finally, services like Clearspring’s AddThis that aggregate the various social media destinations for sharing as well as analytics into one service will become even more of a standard feature across websites as everyone looks to participate in the activity stream.